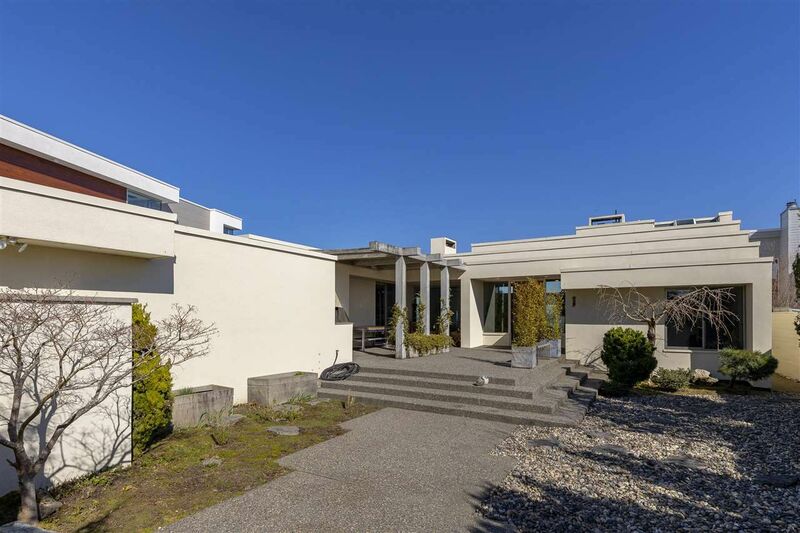 Sophisticated Design with Spectacular Views – This magnificent contemporary home was designed by world renowned architect Daniel White and is a rare offering. It perfectly blends the peaceful majesty of the outdoors with all the modern home conveniences. At any moment of the day you will be captivated by Mount Baker, ocean views and magnificent wildlife. Tastefully renovated to enhance the original design of panoramic windows and open spaces. The chef’s kitchen features all high-end appliances with a plethora of cabinets and a center island. The dramatic master suite offers an ocean view with a spa-like bathroom and closets galore. Located on Centennial Beach - the best swimming ‘hole’ in the Lower Mainland. Seize the opportunity today and make your dream come true!